We have invested in this form of image capture to provide you with an improved service of care. As an ageing social cricketer, Alex has kept me going long after my body said stop. I achieved my first "100" at the age of 55, long after I had intended to stop playing. Rob provides wholly professional, caring and attentive care. His treatment is effective, inspires trust and confidence and keeps me pain-free and active. Our whole family attend the practice and regularly recommend it to family and friends. Excellent care with helpful and friendly staff. I have seen Alex Newton for chiropractic treatment for over 5 years and have found it very beneficial for my health, managing back pain and, at the beginning through reviewing my X-ray and MRI scan, arriving at a diagnosis of an underlying issue. I'd recommend friends and family research chiropractic and Beeston Chiropractic Clinic if they've had a long term back issue. Alex has also communicated with my employers to facilitate reasonable adjustments that have made a positive impact on my working environment and comfort. I have been seeing Alex Newton for several years. I always find her to be very understanding and friendly. After treatment, I come away feeling brand new, especially when my back has been out of place. I always say it's money well spent. It is also reasssuring when I have a problem, that I can ring and speak to Alex personally. I do and have recommended her to friends and family and they too are well pleased.  Beeston Chiropractic Clinic has provided excellent medical care for my neck and back. Alex Newton was recommended to me following a neck injury, which was remedied within two sessions. Continuing maintenance has proved to be a real benefit. I cannot recommend the clinic enough and cannot imagine life without chiropractic care.